Hoarding old electronic equipment can pose threat to you and to the environment. If these equipment and facilities won’t be stored or disposed properly, harmful chemicals may leak and cause damage. Your children might intake these chemicals or they can pollute bodies of land and water. 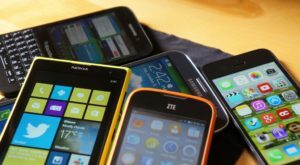 One of the most efficient ways to dispose electronic wastes is by bringing them to All Green Electronics Recycling – a company devoted to safely and efficiently recycling old and unwanted electronic devices. 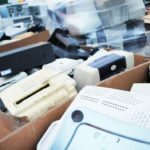 Recycling electronic wastes should be done by experts and Pasadena Electronics Recycling is the right entity for the job. With years of experience and exceptional work in the field of recycling, we have expanded and is now in Pasadena, California. Locals can now have their electronic wastes disposed in a hassle-free way because the experts working for Pasadena Electronics Recycling are now in the city to devote time in keeping the environment safe and clean. Call us now and have our trucks pick up your e-wastes so you won’t have to worry about transferring your electronics from your home to our recycling center. Do you have old electronics cluttering up your attic or garage? MPC John Muir High School and All Green Electronics Recycling have teamed up to host an event to help you get rid of them responsibly–absolutely free of charge! Members of the community and businesses are encouraged to clean out their garage or attic and donate their old electronics to a good cause. Bring all of your old electronics to the event, including, but not limited to: computers, monitors, televisions, printers, mobile phones, laptops, DVD players, VCRs, microwaves, calculators, iPods, cables and wires, telephones, fax machines, scanners, computer parts, and more. All Green Electronics Recycling promises to recycle everything it accepts in North America and to never send electronics to a landfill or overseas for processing. Certified Data Destruction is available for a small fee at all of our events.